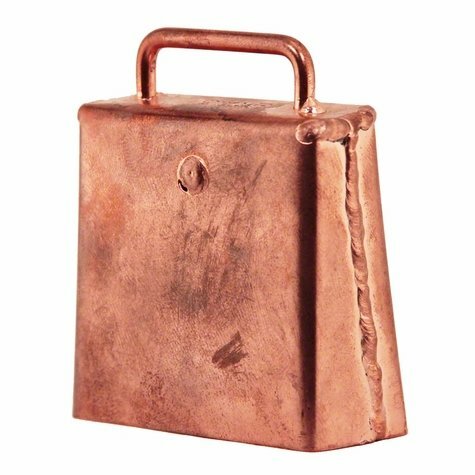 Sunkhaze / Flewelling Handmade Large Copper Plated Hunting Dog Bell. $34.95. "This is perfect for knowing where my dog is in heavy cover." This is perfect for knowing where my dog is in heavy cover. "I can clearly hear it in heavy cover and at a distance." "By far one of the best bells I have ever owned." By far one of the best bells I have ever owned. Great sounding bell. You can hear it very well from a distance. This is the best bell I've ever purchased. Perfect tone. Very easy to hear in cover. I'd bet my Pointer would disagree, but I love it! After 3 uses in the field I give this bell a thumbs up. I have a far ranging dog who is fast, and this made him very trackable. Worth the $$. Very good sound. Makes it easy to follow the dog. Great bell with a nice sound. After buying it I was told by several other dog owners that this shape bell can cut up a dog's front legs, and that I should have purchased a curled inward swiss type bell. This bell, however, did NOT cut up my lab's front feet, but I opted to buy a swiss style bell in addition anyways.